A slide from the opening keynote at last year's OSHW Summit. 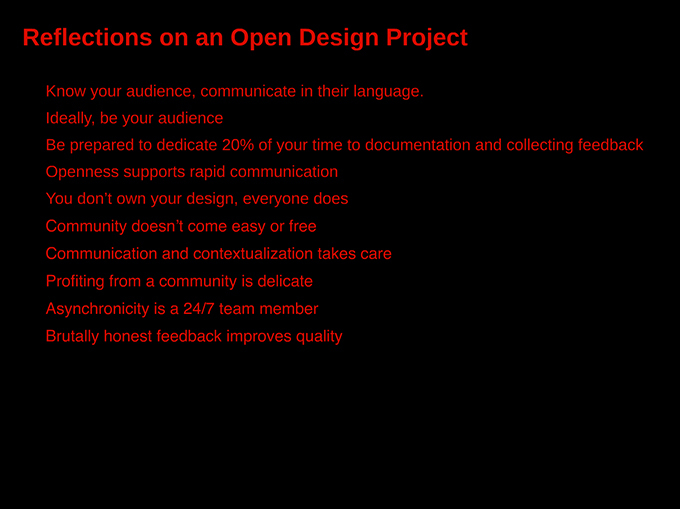 A slide from a presentation by IDEO's Dave Vondle at last year's OSHW Summit. Since the first Open Hardware Summit in 2010, we have seen the open-hardware movement continue to flourish. For instance, the Open-Source Hardware Definition was announced, the OSHW logo was selected by popular vote, an open-source oil-spill cleaning robot got more than $33,000 in crowd funding, Google adopted the open-hardware movement’s biggest success story, Arduino, as its platform, and our very own keynote speaker, Limor Fried, was featured on the front page of Wired magazine. 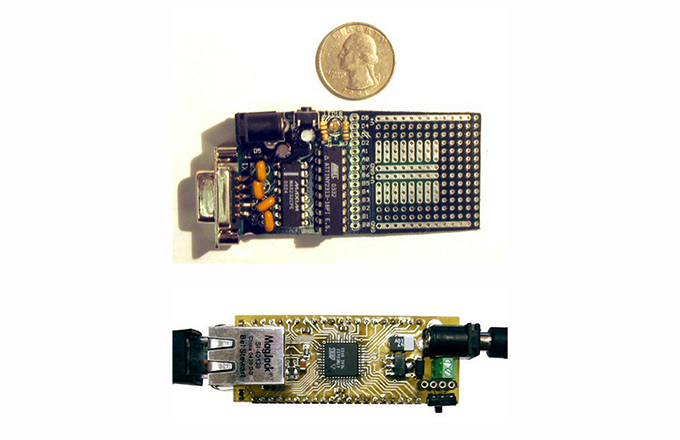 Visit the OSHW site for details on how to submit your idea for a presentation, demo, or workshop. The deadline to submit is June 24, 2011. The summit will take place on September 15th in New York City.